Waaah!! 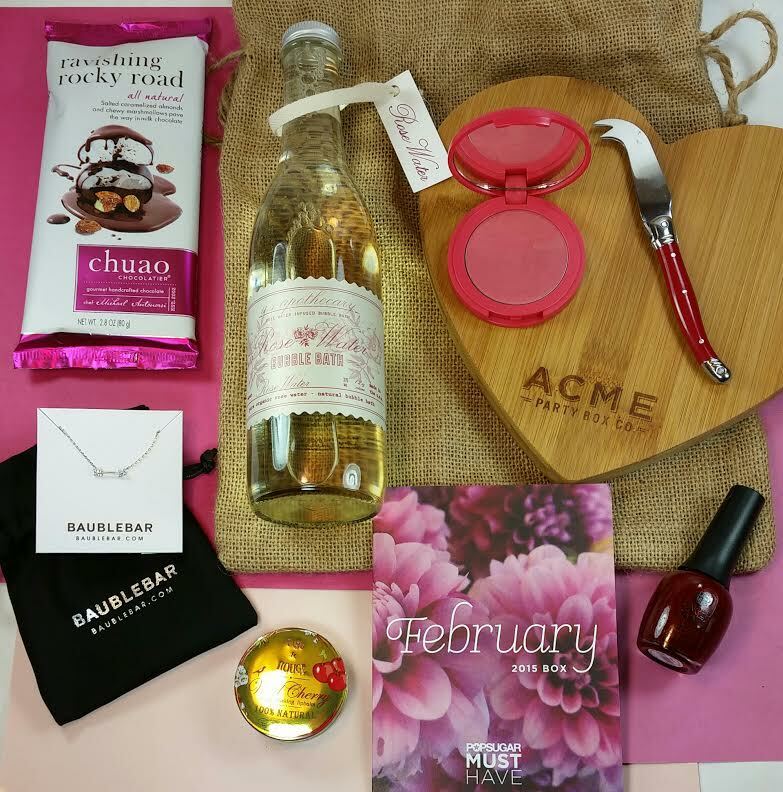 It's a sneak peek into the March 2015 Popsugar Must Have box and I'm not gonna lie... I'm excited! I love citrus and I am traveling to Germany in May!! Everything about this teaser makes me happy! Currently the February box is sold out and I'm sure that's why they released a sneak peek. To help all the March babies get an idea of what they'll get. 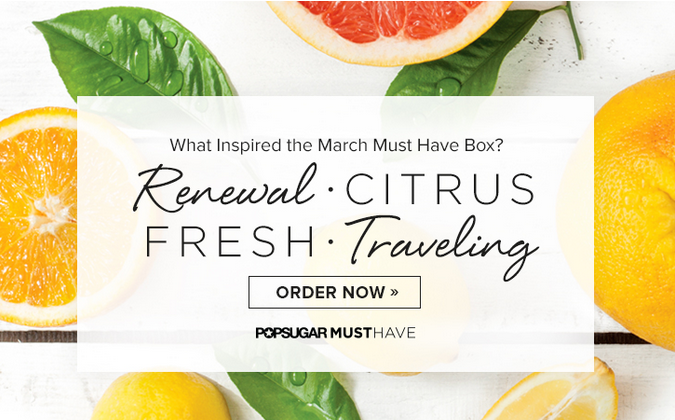 If you sign up now, you will receive the March 2015 Popsugar box. You can check the box for "Waitlist" which may give you the opportunity to get the February box. They are moving people off the wait list but there was a LOT of people on it so it's not a guarantee at all. Sign up here and use code REFER5 or MUSTHAVE5 to get $5 off the price of your first box! You can see my February box review here. But here's the full box photo, as well.